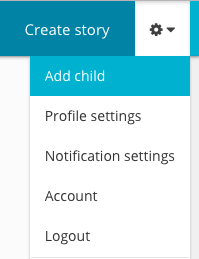 Click the 'Add child' link found in the settings dropdown menu at the top right of the page. Then complete the simple form. You'll be asked to add their name, birthday, gender, profile image and whether you're adding them to your early learning service or your own family. 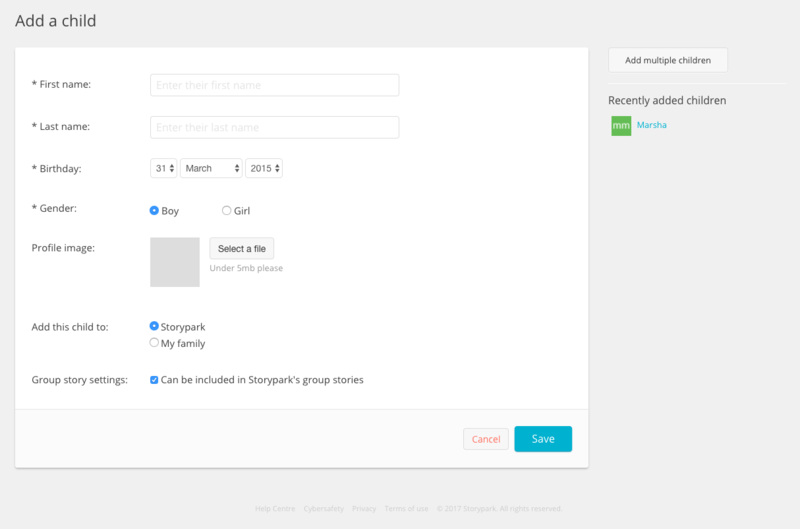 Admins also have the option to choose whether or not the child can appear in group stories or not. By default they can, but if you talk to the child's parents and they have privacy concerns around other families seeing their child you can turn this option off. Please note, if you accepted an invitation to Storypark from a child's parent, you won’t need to add their child as they will already have done it. If your early learning service has reached the limit of children on its plan, click here to learn about adding more children to your plan.